Bill Bowman in his mother's garden at Woodthorpe, 1942. Sylvia Bowman in Women's Land Army uniform, at Woodthorpe in 1942. 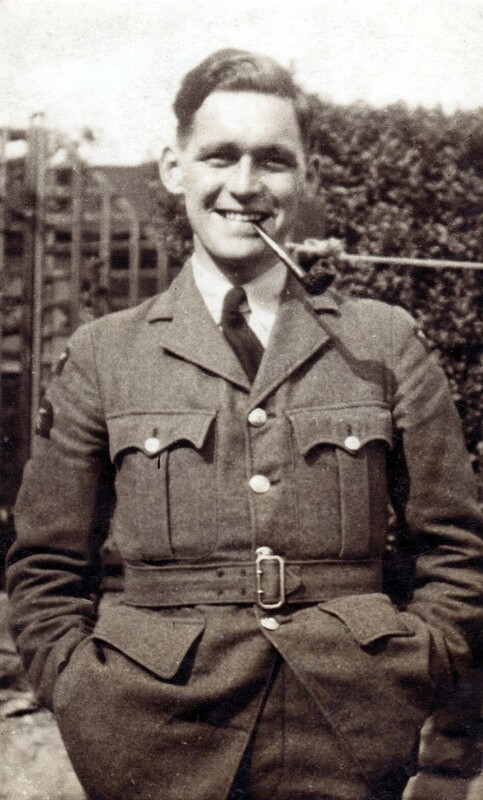 A poem written by Bill Bowman in memory of a close friend lost during the Second World War. These poems were written by the late William Gregory Bowman (“Bill”) and are reproduced by permission of his wife, Sylvia Bowman, of Rectory Court, Bottesford. Bill was born in 1920, and Sylvia about a year later. Bill served in the RAF during the war, and Sylvia in the Women’s Land Army. After a career of hard work and raising their family, they decided to retire to one of the newly constructed bungalows built by Mr Ken Greasley in the grounds of the old Rectory. Bill wrote poetry all his life, and memories of the wartime were a returning theme. Walking on Beacon Hill, he was moved by the sight of the old Normanton Airfield. This small selection brings home the warmth and sadness that he felt. Built me well with concrete and steel. Guide my children down to my ever welcome breast. against the sky; rusting hangars and broken huts. Some of us to live – and some to die. A blackened pile to mark us where we lay. And one by one I heard them go. At rest, and free from mortal toil. As I stood beside the winking beacon light. A look, a crooked smile, ’twas our goodbye. So should a parting forever be. My lonely footsteps echoed in the street. This page was added on 29/10/2007. I’m very proud to see my father’s poetry so well presented on such a tasteful and well designed website; and, aptly, on the anniversary of his death. I can’t describe how moved I feel to see my dad’s verse on line. He’d have been thrilled. I’ll drop by regularly to see the site grow. How wonderful to see my grandpa’s poems online. Thank you Neil for a great site and thank you to Granny for sharing Grandpa’s work. you must be so proud! It’s brilliant to see my Grandpa’s poems on the web. It makes me so proud of everything he’s done. The scanned in hand written one is a great touch. How nice it is to see his handwriting. What a really impressive community site, and how wonderful to see Uncle Bill’s poems so well displayed on it, and so well illustrated too. And what a fine pipe! Brilliant. Thats the handwriting I could never read as a young lad… really moved seeing it online. Granny kept that one quiet! 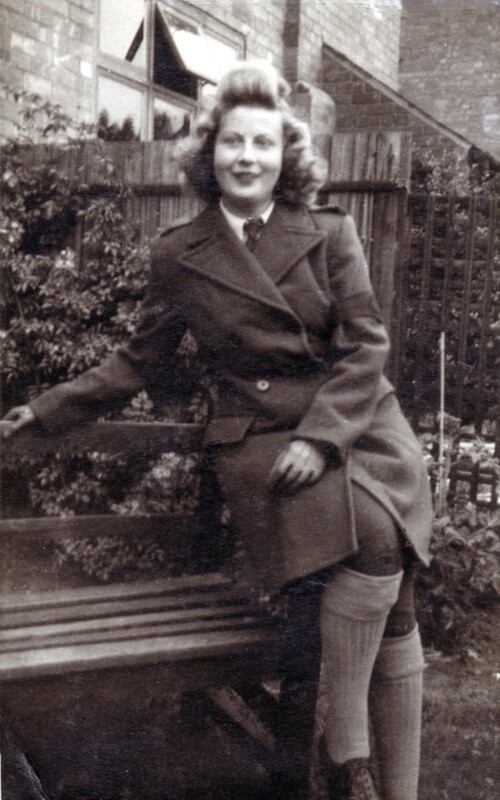 Searching for pictures of WLA hats (I am a re-enactor and have just purchased some original Land Girl breeches) brought me to this site. I read the poems and found them very moving. I have been to the Ashby area of Lincs as (ex-RAF) friends live there, and so I can appreciate the RAF heritage described in the poems. Grateful thanks to Mr Bowman and others like him for their sacrifice. Thank you Cheryl for your kind comments .I hope that you managed to get a WLA hat: mine is long gone, only the memories remain! Best wishes to you, Sylvia Bowman.